The subject of optimum design is now often being required to understand the industrial potential of these techniques. 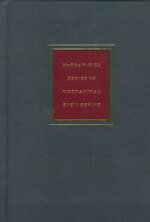 Introduction to Optimum Design presents a mathematical model for optimum design applied to exercises from all fields of engineering. The increasingly important role of computers in design and vector matrix algebra is stressed throughout. Engineering students and practitioners studying optimization and mechanical engineering design. Jasbir Singh Arora is an F. Wendell Miller Professor of Engineering, a Professor of Civil and Environmental Engineering, and a Professor of Mechanical and Industrial Engineering at the University of Iowa. He obtained his PhD in Mechanics and Hydraulics from the University of Iowa. Dr. Arora is the Associate Director of the Center for Computer Aided Design. He is a Senior Advisor for the International Journal of Structural and Multidisciplinary Optimization and he is on the Editorial Board of the International Journal for Numerical Methods in Engineering. He is a Fellow of the American Society of Civil Engineers and the American Society of Mechanical Engineers, and a Senior Member of the American Institute of Aeronautics and Astronautics. Dr. Arora is an internationally recognized researcher in the field of optimization and his book Introduction to Optimum Design, 3rd Edition (Academic Press, 2012, 978-0-12-381375-6) is used worldwide. Jasbir Singh Arora is an F. Wendell Miller Professor of Engineering, a Professor of Civil and Environmental Engineering, and a Professor of Mechanical and Industrial Engineering at the University of Iowa. He obtained his PhD in Mechanics and Hydraulics from the University of Iowa. Dr. Arora is the Associate Director of the Center for Computer Aided Design. He is a Senior Advisor for the International Journal of Structural and Multidisciplinary Optimization and he is on the Editorial Board of the International Journal for Numerical Methods in Engineering. He is a Fellow of the American Society of Civil Engineers and the American Society of Mechanical Engineers, and a Senior Member of the American Institute of Aeronautics and Astronautics. 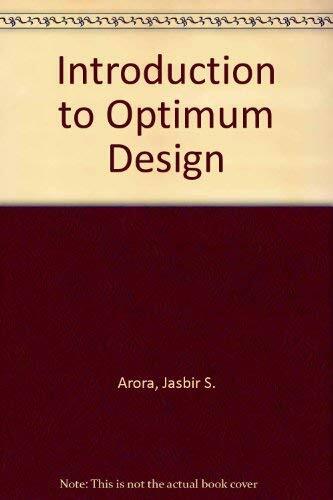 Dr. Arora is an internationally recognized researcher in the field of optimization and his book Introduction to Optimum Design, 3rd Edition (Academic Press, 2012, 978-0-12-381375-6) is used worldwide. 4. 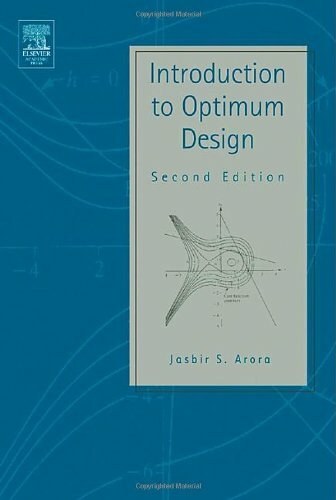 Introduction to Optimum Design (McGraw-Hill series in mechanical engineering) Arora, Jasbir S.
5. 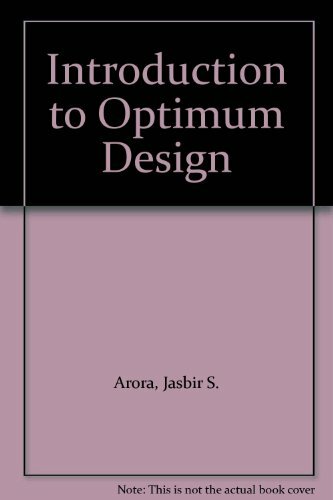 Introduction to Optimum Design (McGraw-Hill series in mechanical engineering) Arora, Jasbir S.